In the age of information, today's most valuable currency is customer data. Over the years, especially in recent years as cyber breaches have increased in frequency, the public demands that businesses take preserving customer information very seriously. 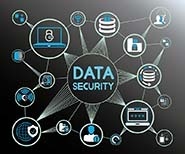 Most companies understand the significance of asking for and storing their customers' data and do their best to safeguard this valuable asset. However, with hackers adapting and finding ways around security features, ransomware continues to be an ongoing problem for businesses and organizations. You have likely discovered the undeniable benefits of cloud services. Vendors offer scalable and highly available internet-accessible services to support almost all business needs. Most organizations have or will soon support business processes (workloads) from their own data center and through multiple third party cloud service providers (CSP). While the benefits may be appealing, leaders must make risk-informed decisions to maintain secure, business-ready services. If you were one of the estimated 16 million people that watched the anticipated Game of Thrones (GOT) episode on Sunday, July 31, or any of the other most recent episodes, you might have heard buzz about the HBO cyber attack. The Huffington Post reported that hackers obtained 1.5 terabytes of data from the HBO network and leaked the script to the August 5 GOT episode, plus files and proprietary information from other top-rated HBO shows. In laymen’s terms, 1.5 terabytes is equivalent to 32 months of continuous music play, downloading 225,000 full-length movies, or 768 years of photos. Now, that’s a lot of data! In today’s world, it's difficult to get through the day without interaction of a cell phone, computer, or other electronic devices connected to the internet. Technology, today, is simply all around us in everything we do, from work to our leisure time. We use technology to perform our jobs every day, leaving us vulnerable to cyber attacks whenever we get online. Cyber criminals have become the world’s most dangerous criminals simply because they can act covertly and from anywhere in the world. Regardless the size of your business you are not immune to cyber attacks. The potential impact to one’s business, for some, could make it nearly impossible to recover from a cyber attack. Having just one breach incident occur can mean the difference from running your business one day to closing shop the next. Social engineering is more popular than ever. Why? Simple—it works, and it works well. From Odysseus' Trojan Horse to the modern business attack, the art of manipulating human decision-making is a timeless threat. Easy access to the Internet empowers malicious actors with the intelligence, tools, and anonymity they need to develop effective campaigns. Whether you are a small business or a Fortune 500 company, you and your employees will likely face this threat and must remain on guard to defend against it. Everyone knows that fraud, in all its forms, is expensive. According to the Association of Certified Fraud Examiners, the typical organization loses 5% of its revenue any given year to fraud. Assuming you don't want to hand over 5% of your company's revenue to fraudsters each year, here are some tips to tighten your electronic controls and prevent cyber attacks, which affect the majority of companies on a daily or weekly basis.